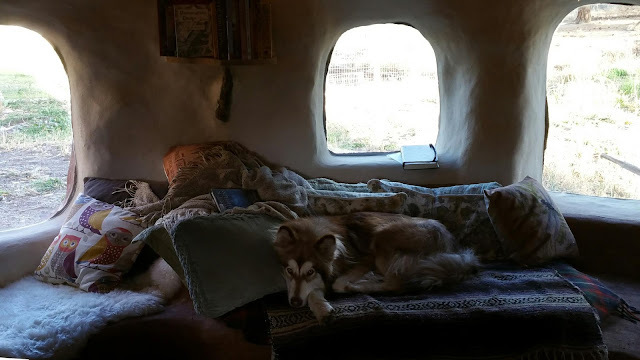 Spiritwood Natural Building: A wolfy spot to read. A wolfy spot to read. Suka's favorite spot to nap. Your dog looks very cozy. Your home looks amazing! I'm so impressed by all the beautiful fine finishing details. I know how long those take, but they really add the extra touch of love to the space. Fantastic work! I especially liked your counter tops. Hi, thanks for your wonderful comments. Hopefully I'll get some more posts going.